Providers of Services for People with Disabilities Respond to Minnesota's Olmstead Plan - Achieve Services, Inc.
Members of the Minnesota Organization for Habilitation and Rehabilitation (MOHR) have issued a public response to the Minnesota Department of Human Services’ proposed Olmstead Plan. In a letter entitled “RE: Olmstead Plan: Let’s Develop a Plan That Works” the group’s president, Mike Burke, on behalf of the organizations 102 members, raises some concerns about wording in the plan in regards to person-centered planning and other proposals. “Changing Attitudes” Gala Coming May 3rd! Get on Board: Achieve Fall Fundraiser Coming November 7th! Dance at Your Own Risk Album Release Party is August 24! 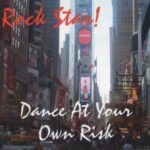 Preview Track 1 from Dance at Your Own Risk’s New Album!